After the recent blizzard we had some beautiful sunsets! 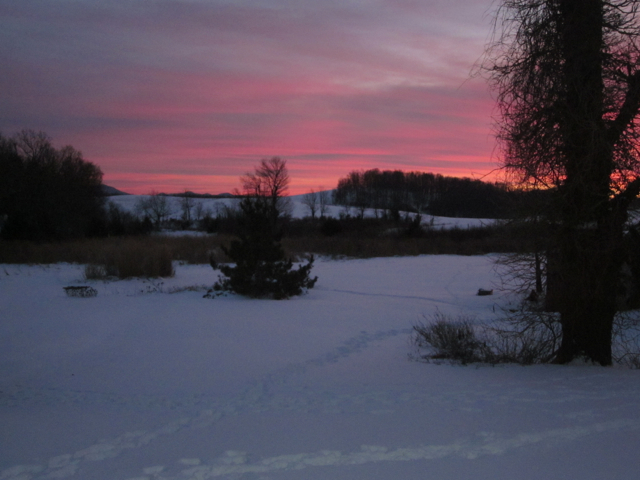 On the left is the view from the sun room of the sunset over the pond. 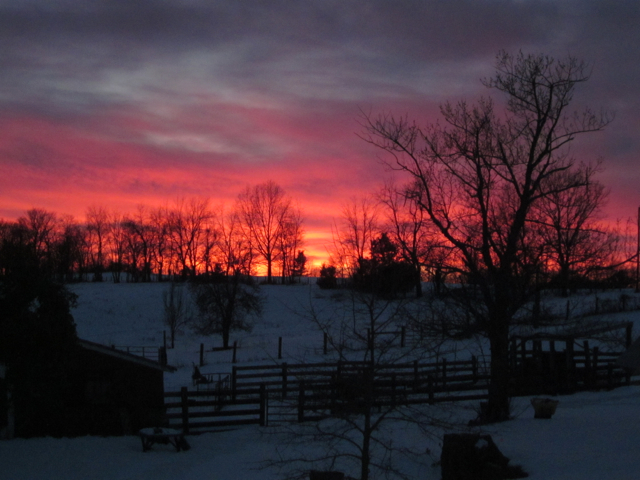 On the right is the view of the barnyard from the back porch.